In the platformed world, trust is what the popularity of your product depends on. The central idea of platforms is connecting people and facilitating interactions among them, and these interactions would hardly possible without trust. In other words, to make users come back to your platform and interact with each other, you as the platform curator need to build and sustain trust on the platform. So how can you develop trust when it comes to platform-like businesses? Regardless of its type – be it a social network like Twitter or a content platform like YouTube – a platform must ensure it uses a combination of the above-listed mechanisms to build trust and encourage users to stay and interact. In this article, we’ll talk about how trust is usually built on community platforms. We chose Product Hunt as the brightest example of a community platform. Within just ten months of its release, Product Hunt has gone from a small email list to the biggest pool of the next big things in the world of tech. Product Hunt’s user base is now more than 500,000 tech fanatics who submit and discuss new tech products day and night. So how did Product Hunt manage to grow and retain its audience? This is where the 7 C’s of trust come into play. Let’s find out what these trust-building mechanisms are and how each of them is implemented on the platform. Before Facebook’s social graph came into being, the most popular online saying was “on the internet nobody knows you’re a dog.” However, the days when people were allowed to be dogs on the internet have come to an end. According to Facebook’s chief operating officer Sheryl Sandberg and Facebook’s director of policy in Europe Richard Allan, a critical mass of people want online interactions to require “authentic” identities these days. The pursuit of authenticity is especially important when it comes to platforms, since users want to feel confident that other platform participants are actually who they say they are. With the rise of Facebook’s social graph, it’s now possible to create a single cross-platform identity that’s the combination of a person’s online past, present, and (surprisingly) future. Today, a number of services provide login via Facebook ID, and your Facebook account, with your real name on it, can easily reveal who you really are and what your life is all about. 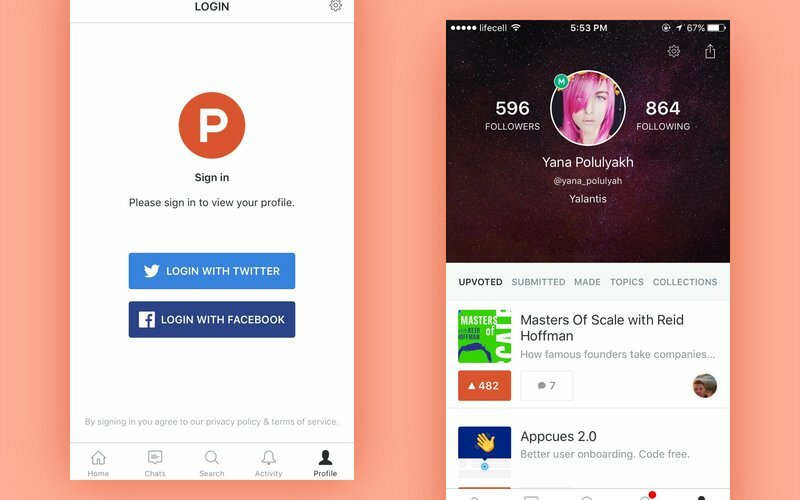 Product Hunt is not an exception – the service also provides authorization via Facebook, so your real name, profile picture, email address, connections, and even cover image will automatically be linked to your Product Hunt account. You can also sign up via Twitter, which makes it possible for other participants to visit your Twitter profile and check out your activities on that social network. In addition, you can provide a link to your website that may reveal further information about your personality. Facebook’s social graph isn’t foolproof, however, and different types of interactions may require more than just providing your Facebook profile information. Airbnb sends out photographers to apartments to confirm listings and provide users with real pictures of the places they may want to stay. To drive for Uber, for example, you need to provide a country-specific driver license, car registration documents, proof of car insurance, and so on. Drivers must also pass a special background check done by a third-party company called Hirease. But such precautions would be ridiculous for Product Hunt, since the platform's nature doesn’t require having any certificates or licenses to confirm an entrepreneur’s identity. Centralized moderation may be helpful if you want to prevent undesirable activities on your platform. To this end, Airbnb has special moderators who regularly scan the platform for potentially illegitimate listings and reach out to those hosts who have posted them; they also keep an eye on suspicious guests who potentially pose a risk of property damage or hassle, such as first-time guests who book high-end apartments. Twitter, which has a troll problem, has specially trained moderators who filter out trolls on the platform by keywords. Instagram’s community managers ban abusive content that’s flagged as inappropriate by other users. 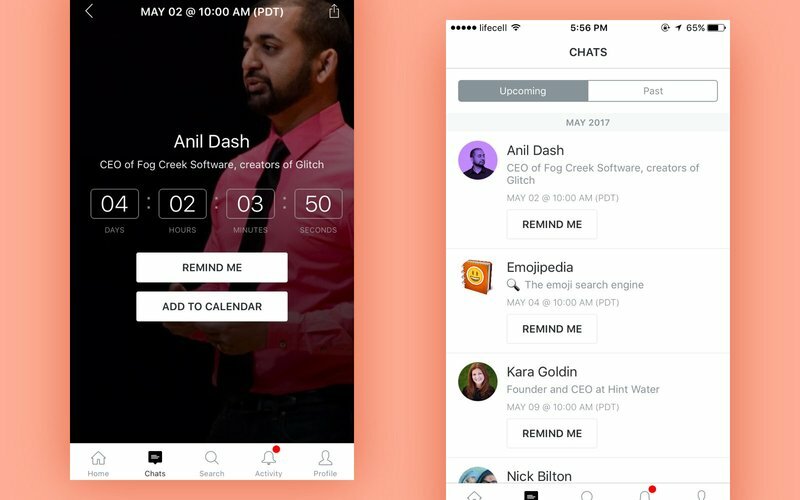 Product Hunt also has a team of community managers – including Bram Kanstein, Ben Tossell, and Jake Crump– who communicate with Product Hunt’s users who are looking for assistance. These community managers actually support communication via different channels, such as Twitter and Facebook, and do a great job of building a flourishing and healthy community of tech lovers. Centralized moderation is the easiest way to build trust among a platform’s users at its early stages of development. But as a platform grows and its community scales, it should decentralize this trust creation mechanism. So here comes the next factor: community feedback. Your reputation on the web can say a lot about your personality. But how do we measure this online reputation? The answer lies in community feedback and rankings. The better the feedback you get the better your rank and, therefore, the better your reputation. According to Choudary, community feedback may take several forms such as likes, comments, votes, ratings, reviews, and replies. On Uber, drivers and passengers can rate each other after a ride is over. On eBay, there’s a tricky user rating mechanism based on feedback scores and colored stars. Your feedback score on eBay is measured by the number of positive, neutral, and negative comments from either buyers or sellers (depending on your role on this platform). The higher the feedback score, the more positive ratings a user has received; and as a user’s feedback score increases, their star changes color. Product Hunt’s rating mechanism is built entirely on upvotes and comments. Users can upvote products featured on the platform, comment on them, and even upvote the comments of other participants. After posting a product, add a comment to kick off a conversation." If you’re lucky enough to be featured on the platform’s front page, the only way for you to get to the top of the heap is for the rest of Product Hunt’s community to like your product. The same goes for comments. Comments with a greater number of upvotes move to the top of the discussion, whereas those with a lower number of upvotes sink to the bottom. As you can see, community feedback allows the community to regulate itself – users who fail to gain the trust of others will eventually sink into oblivion. This makes community feedback the most scalable approach to building trust on your platform. We mentioned undesirable actions a bit ago. But how can we draw platform participants away from undesirable actions and nudge them toward desirable actions instead? Applying codified behavior may come in handy here. Codified behavior, according to our beloved author of Platform Scale, “involves the implementation of implicit rules in the working on a platform; these rules may be backed into a platform in the form of algorithms that implement checks and balances on users’ actions.” Product Hunt implemented a mysterious voting ring detection mechanism that comes into play when something goes wrong. But what counts as “wrong” in the case of this community platform? Even though Product Hunt is built on upvotes and comments, users are strictly forbidden to ask other participants to vote for their newly posted products. Asking others for upvotes will trigger the above-mentioned mechanism that drops your product in the ranks or removes it from the home page entirely. This drop may also happen if a large majority of upvotes come from a new or “connected” group of contacts. Moveover, people asking for upvotes may simply be banned by the platform’s moderators. Product Hunt’s users should keep in mind that Ryan Hoover is dead serious about things that aren’t done his way. Culture plays an important role in building trust on a platform. You can improve the culture of your platform by fostering interpersonal connections between its users. These interpersonal connections can pave the way for further interactions on the platform. Besides encouraging people to communicate with each other in comments, Product Hunt gives them the chance to organize hunter meetups and hang out with other product-loving folks in a neutral territory. All you need to do is reach out to one of Product Hunt’s community managers who will gladly help you to organize a PH meetup in your area. There are also podcasts and live chats with fellow entrepreneurs that you can join. “Completeness” refers to the completeness of users’ profiles. Users tend to trust other who have complete profiles with detailed information. Seeing complete and valid information nudges people to start an interaction without doubts and without hesitation. So to build trust on your platform, you should encourage people to complete and regularly update their profiles. Facebook is probably the best example of a company that uses such an approach. Facebook will warn you if your profile picture is out of date or if it’s time you changed your cover photo. Another example of a company that encourages users to complete their profiles is LinkedIn, with its profile progress bar that shows users how much information they still need to fill in to complete their resumes. 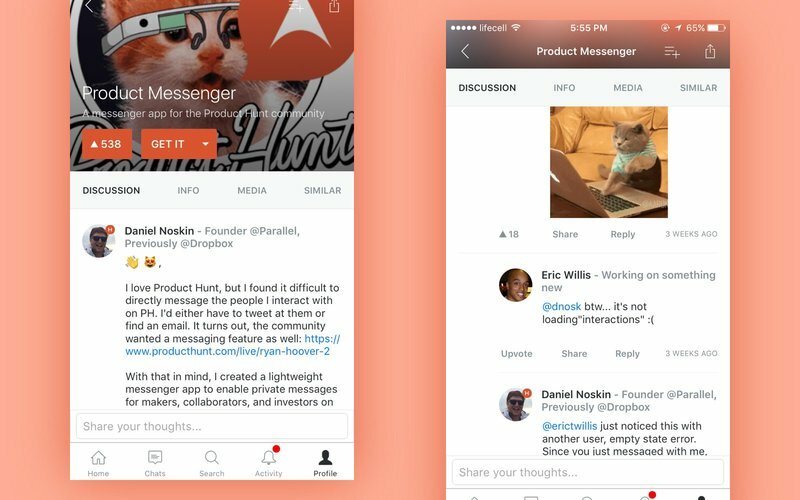 Product Hunt, on the other hand, doesn’t apply any similar techniques. This is where the platform’s trust-building system probably requires some improvements. Cover is what a platform does to assure that its users are safe. It works similarly to a product warranty: if the interaction doesn’t satisfy a platform’s participants, the platform should do its best to cover any loss to either side. Uber and Airbnb provide their hosts with a kind of insurance as a cover against undesirable consequences – theft or damage. Uber’s passengers and Airbnb’s guests can complain about terrible service and get compensation. In Product Hunt’s case, cover would mean measures the platform may take to protect users from offensive words and severe criticism. And in fact you can inform Product Hunt’s community managers about unfair treatment toward you or other participants so they can control and prevent it. With this knowledge in mind, you now know how to build healthy and trusting relationships among participants on your platform. These relationships are the core of your platform's success and prosperity.